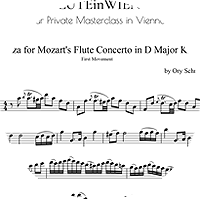 🎁 You can download and use for FREE the cadenza I wrote and normally play for the first movement of Mozart’s flute concerto in D Major, K. 314. The cadenza is quite short, as used to be played at the time (a bit longer than only one breath though) and still can sound impressive and virtuoso. You can download the cadenza as a PDF, print it and perform it for FREE (Please don’t forget to mention my name if you print a program when performing the concerto). Download my Cadenza for FREE Now! Ready for you and your pupils/students to print and play! You will receive my newsletter once a month with the latest posts and tips. Already subscribed? No problem! Fill in your email address. 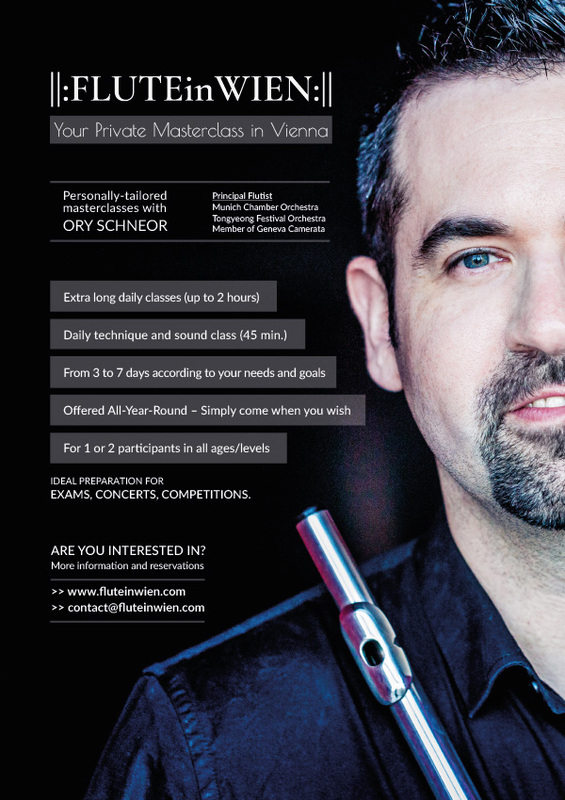 The Only Masterclass With Up to 3 Hours of Active Playing Every Day! You can now find as well here my practical guide for the opening phrase of the D Major concerto. Hope you will enjoy playing this cadenza. I will be very happy to get your comments on it. Ory, I was surprised to read that the articulation that you use the least is the one that most of us use the most! I use all of the articulations that you list, but I don’t see how you can play rapidly with any of the articulations except the “ta”, etc. Listening to your D major cadenza (Bravo – my favorite Mozart piece) the articulation is very rapid and very clean – how are you tonguing in that piece? I think I could benefit greatly from an on-line master class with you, I just need to work some things out and I will be back in touch. Grazi!